Welcome to Pronto Car Wash & Quik Lube, in St. Petersburg Florida. We've been a premier car wash and car care center since 1958. Watch our video above and explore this site to find out more of what Pronto can do for you! We offer car wash packages both Express and Full Service, extensive car detailing services, oil changes, and self-serve bays. During the more than 50 years we've served the St. Petersburg community, we have also provided personal growth and career opportunities for three generations of Pinellas area residents. Many of our current upper management employees began as attendants at Pronto Car Wash & Quik Lube and some have been here as long as 25 years! Our convenient location is on the way to where you're going. We'll get you in and out quickly, without sacrificing quality work. So, come by and see us today! 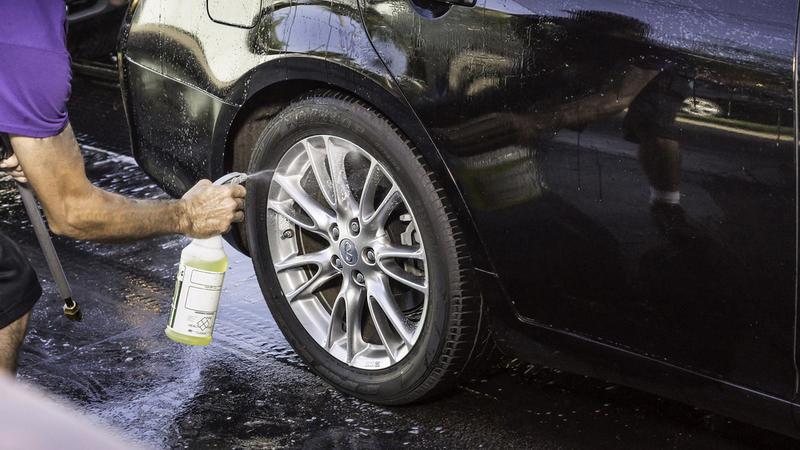 Pronto Car Wash & Quik Lube uses high quality cleaning solutions that are specially formulated for Florida's climate. Our detergents are biodegradable and provide premium, long lasting shine. For a complete list of products click here. We love our community and want to do what we can to protect, conserve and nurture it. We've been long term members of the St. Petersburg Chamber of Commerce and proud supporters of the Tampa Bay Rays. We support local military with Grace for Vets, by giving veterans a free car wash on Veteran's Day. We are also members of the Eagle Eye program of the St. Petersburg Police Department that focuses on crime prevention and investigation. Pronto Car Wash & Quik Lube is proud to be a part of the American Oil Change Association (AOCA), the International Carwash Association (ICA) and the Southeastern Car Wash Association (SCWA). Our state-of-the-art reclamation equipment certifies us as a Water Saver by ICA, since 2010.